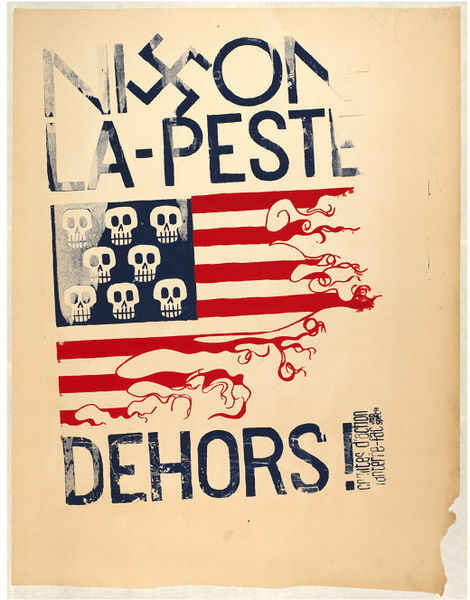 Nixon - La Peste Dehors! This poster criticises (newly elected) U.S. President Richard Milhous Nixon's role in escalating conflicts during the Vietnam War. In 1969, Nixon pledged to continue military support for South Vietnam, engaged in a brutal conflict against North Vietnamese Communists. This poster was probably produced by protesting French students. 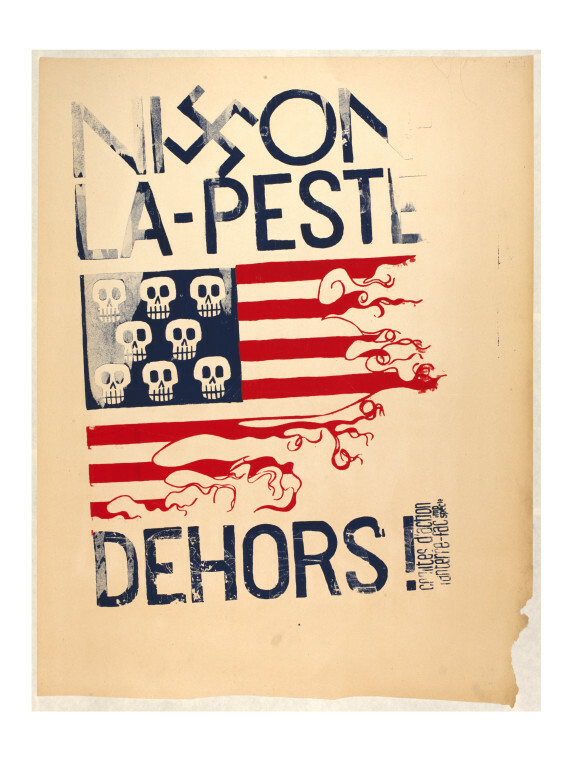 While many such protest posters were produced by dissenting American youth, the French also had strong ties to Vietnam, where France excercised colonial rule until 1954. American flag shredded into caricature of Nixon. Nixon - Oust the Menace! 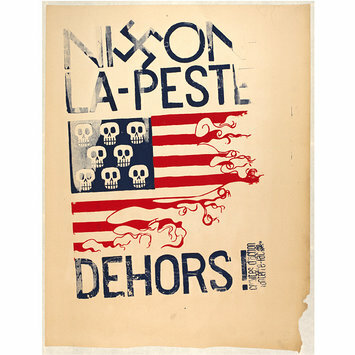 Nixon - La Peste Dehors! Anti-Vietnam war poster. Death and fascism. France, ca. 1969. David Crowley and Jane Pavitt eds.